PLEASE NOTE: The ride will start from the Nottawasaga Inn Resort early Saturday August 24th 2019. For those who need to travel any distance, we recommend that you book a room for Friday and Saturday night. This is not mandatory just a recommendation. 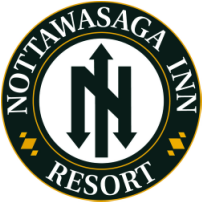 The Nottawasaga Inn Resort is approximately a 45 minute drive from Toronto. Stay within your choice of 269 spacious hotel accommodations. Our guestrooms offer a warm and inviting private hideaway which is perfect for a short getaway or a resort vacation. Treat yourself to the ultimate in luxury and spend your vacation within one of our 34 luxurious suites which are furnished with a Jacuzzi and gas fireplace.